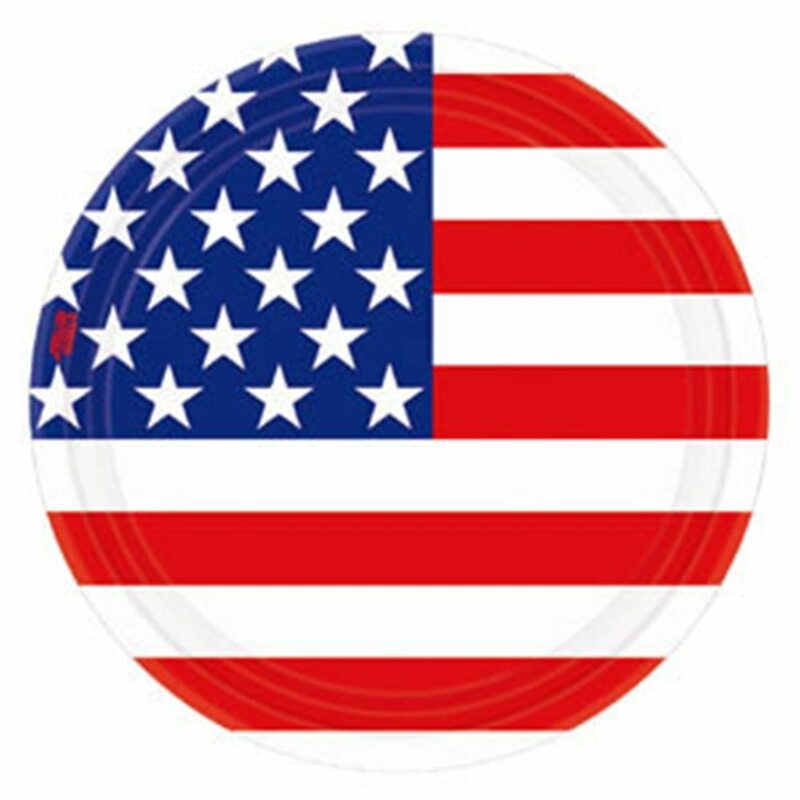 4th of July Stars and Stripes Plates.Includes: 8 4th of July Stars and Stripes Plates.Dimensions: Approximately 9" Diameter.Complete your 4th of July decor with these Stars and Stripes Plates! Don't forget the matching tablecloth, plates, cups and napkins to complete the set! Includes: 8 4th of July Stars and Stripes Plates. Complete your 4th of July decor with these Stars and Stripes Plates! Don't forget the matching tablecloth, plates, cups and napkins to complete the set!